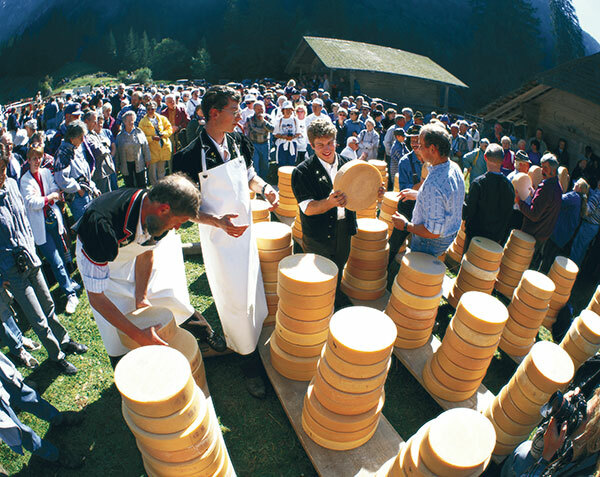 American Travel writer Bill Bryson may find the ‘fanatically industrious Swiss’ dull, but there is much to learn from this tiny, impeccably-administered country. 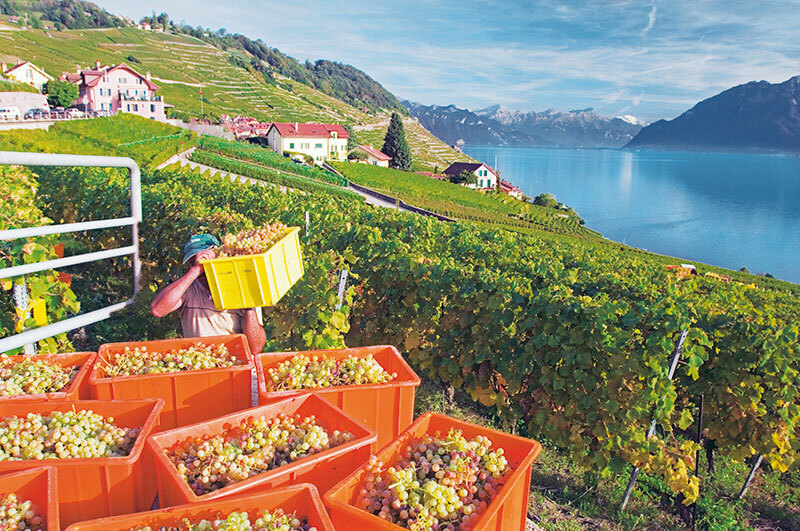 The latest feather in Switzerland’s overcrowded cap is the recognition by UNESCO of the vineyards of Lavaux, on the shores of Lake Geneva, as a World Heritage Site. For thousands of years this was uncultivated terrain. Then in the 12th century, the Cisterian monks built walls and terraces to prevent soil erosion and transformed the tortured topography of Lavaux’s slopes into spectacular vineyards that stand like hanging gardens over the lake’s sparkling waters. 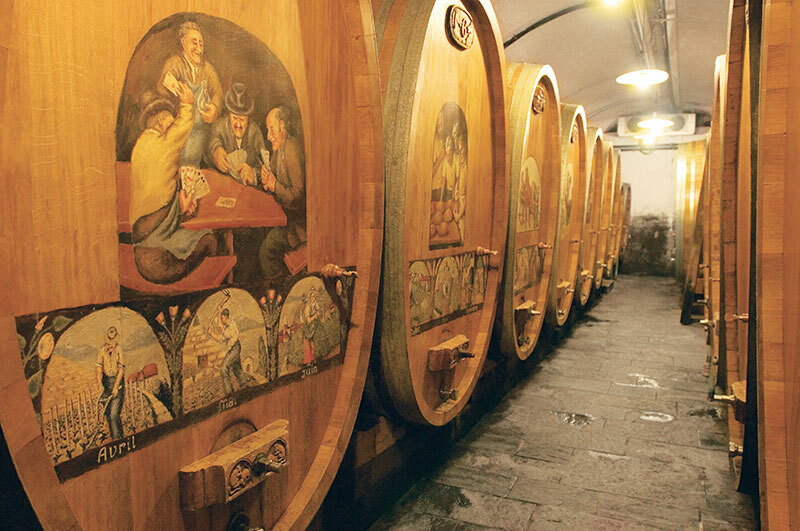 Attracted by its breathtaking beauty, artists, writers, photographers, filmmakers and tourists have been flocking to Lavaux. Local citizens, who are justifiably proud of their heritage, have taken care not to allow its intrinsic character to be distorted by its popularity; and preserved its identity despite the pressures of being sandwiched between the ever expanding cities of Lausanne and Vevey-Montreux. Observing stringent building laws, they have prevented infringement on their traditional architecture as well as been fiercely protective about maintaining the region’s harmonious relationship with its environment. To celebrate UNESCO’s recognition of these efforts, Verve was invited, together with 179 other media representatives from around the world, to a grand event at Cully, one of the villages of this region. The event was preceded by a food and wine odyssey that started mid-air for me in SWISS, the airline that flew me to Zurich. A few hours later, I join journalists from other parts of the world for a guided walking tour through the cobbled lanes of the ancient town whose pale yellow buildings, made of sturdy Jura limestone, once prompted a visiting French monarch to remark that Neuchatel could be ‘made from butter.’ Their soft, buttery looks notwithstanding, Neuchatel’s medieval churches, mansions and market squares have been so marvellously conserved, it’s like a walk back in time. Enraptured, we stand on a hillock, outside a thirteen-century church and gaze stupefied at the turrets, spires and gabled rooftops that form the town’s skyline. This suspension in time continues when we troop into a nineteenth-century distillery in the neighbouring Val-de-Travers to taste absinthe, a herb that originally had medicinal values and tastes like our saunf but which was later added to cheap alcohol and drunk in such large quantities that it had to be banned. “Too much makes you go crazy!” explains the distiller, and narrates a story of how once intoxicated rowdies went on a slaughtering spree. However, strict regulations were introduced in 2005 to prohibit the use of substandard alcohol and the ban was lifted, so all of us take swigs of the ‘green fairy’ without any visible signs of lunacy. Then carrying on our journey into times past, we stop by for dinner at Six Communes, a charming old inn with wooden beams and stone floors. Soft, melting-in the-mouth Mozzarella cheese made from buffalo milk and served on a bed of tomatoes, roast chicken in a creamy sauce, gratin dauphinois (thin slices of potato baked with cream and cheese), fresh salad, an iced absinthe soufflé and glasses of excellent Swiss wine provide a more than restorative end to a day that started more than 24 hours ago in muggy Mumbai. Alighting at the flower-bedecked pier of La Neuveville, another pretty town in the Watch Valley, we are once again transported to medieval times when witches and brooms played a very active role in everyday life. After doing the rounds of abbeys, prison towers, chapels and ancient apartment blocks, we suddenly find ourselves back in the present. Here’s a town that values not just its senior citizens, for whom comfortable care-centres have been built, but even its tiny tots. Schoolchildren are encouraged to paint, draw (their drawings with their names and class are displayed all over the town) and walk to school. What a delightful coincidence that we stop by for lunch at L’ecole est finie (which means ‘school is over’)! Delightful is in fact the perfect adjective to describe this restaurant. Crayons and colour pencils make centre-pieces for the tables while laminated, black-and-white photographs of schoolchildren of classes of ’69, ’70, and other years gone by, substitute for tablemats. Nathalie Degiez, its friendly owner, is in one of the pictures, and her father, a young schoolboy smiles from another. The theme continues in the bright blue and red washroom where slates with matchstick figures indicate garçon and fille. Delightful ambience. Delightful lunch. Roast chicken and steamed apples with boiled potatoes and a light chocolate pastry with tiny cups of well-brewed coffee. Everyone is in a loud, boisterous mood, infected by the youthful cheer of the place. Indeed, we could happily sit here all afternoon, drinking wine, sipping coffee, and nibbling on more of that delicious pastry. But our hosts have other plans for us. Off we go in a yellow post bus to a cheese factory to learn the secrets of Tete de Moine cheese. 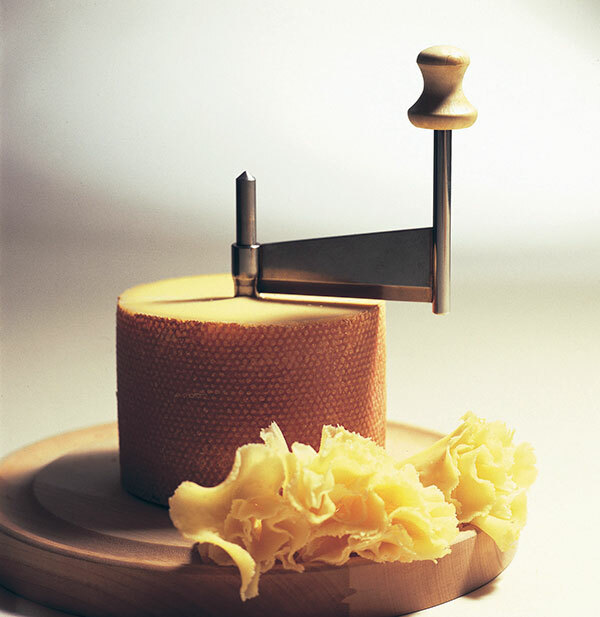 This is a delicate cheese that is never sliced but placed on a girolle and pared into thin rosettes. Made originally, again, by monks in the 12th century, the name of this distinctively-flavoured cheese means ‘monk’s head’. Its unappetising etymology notwithstanding, the rosettes make divine starters! A staged hold-up by a nasty looking, masked highwayman shatters our pastoral peace for a while but the folk dance and music that follow rev up our appetite for another round of eating and drinking – the leitmotif of this trip. Carpaccio de melon et jambon cru, Saucisson Jurassien en croute, roesti and legumes with the best of Neuchatel white and red wines at a very contemporary restaurant of the Golf Club concludes another day of Swiss hospitality. Tipsy, sleepy and satiated, we drive through the dark, over hill and dale, back to our hotel which we leave the next morning and head for Lausanne. Beau-Rivage Palace, the 150-year-old hotel where we spend two glorious days, does the city proud. Irmgard Muller, a manager who greets me in the lobby with a namaste is an Indophile. I’m escorted personally up to my room to ensure nothing is amiss. But could anything really be amiss in a luxurious room with a luxurious bathroom and a breathtaking view of Lake Geneva from its antique, wrought-iron balcony? A hot soak in the bathtub later, I join my media friends in the exotic garden restaurant for a gourmet lunch that includes fresh fish from the neighbouring lake. A Canadian scribe is representing a magazine for newly-weds, and all of us concur that this hotel is worth saving up for to start a life of conjugal bliss. I opt for a sinful chocolate concoction as dessert – an act of hedonism, I realise, at Dan Durig’s chocolate confiserie, a bus ride later, where I taste more of the gooey stuff. Watching hot chocolate pour out from a tap into a tub and then being transferred into plastic moulds of pussycats and owls is a fascinating sight. You have to be pardoned for being greedy. But I succeed in putting guilt pangs behind me as I walk back to my hotel, down Lausanne’s winding roads, to join the press entourage for a drive to the eerily romantic environs of Chateau de Chillon, near Montreux, on the edge of Lake Geneva. This 11th century fortress inspired Byron to compose The Prisoner of Chillon and aren’t we glad we are here in happier circumstances, being served wine and delectable starters by traditionally-dressed waitresses. 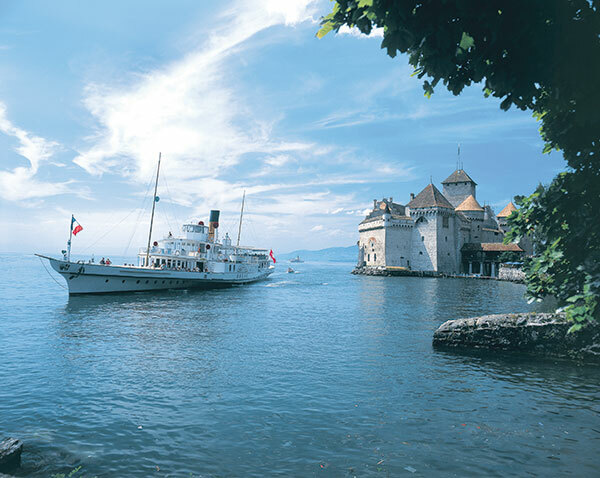 After the revelry at Chillon we step into a belle époque paddle steamer, La Suisse, for a riotous night of merrymaking. The sun sets and the stars come out as we pass towns like Vevey, the headquarters of Nestle, and where Charlie Chaplin spent the last 24 years of his life. Across the lake stand the majestic French Alps, and we are told that many a worker commutes, daily, from France to Switzerland, using the boat as a means of transport. Could there be a better stress-buster than that? 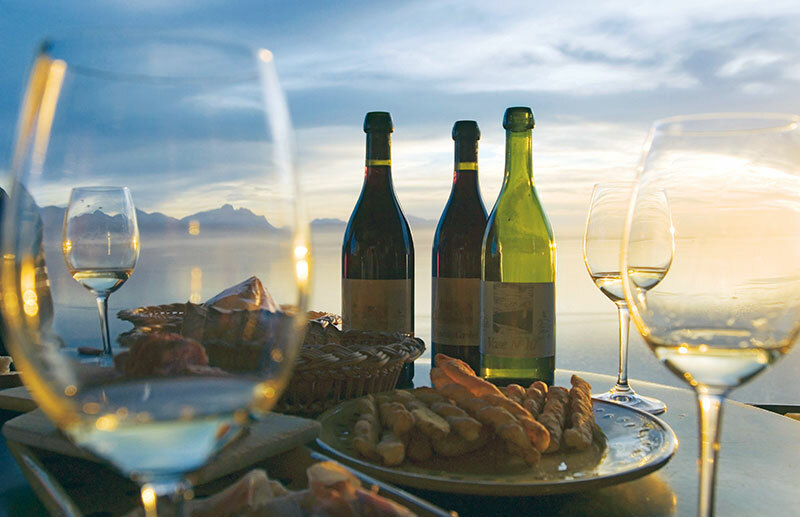 Wine, four-course dinner, music, fireworks and dancing on the deck with a chilly breeze adding to the thrills. It’s a night all of us will remember long after we’ve gone back to our humdrum lives. Aah, another splendid day! At ten we are at a vineyard in Lavaux sipping Chasselas wine, listening to oenologist Severin Cyril talk about how he makes the liquid gold we are sipping, how soil conditions contribute to different flavours, how he has ventured into the export market even though the Swiss are notorious for drinking up all the wine they produce. We taste one called Sushi wine, clearly oriented to go with Japanese cuisine but it tastes heavenly with cheese, too! Later I go grape harvesting in Eddie’s farm, where farmhands include chattering youngsters in spaghetti straps and wonderful tans. “It’s good they chatter because then they eat fewer grapes,” remarks Eddie in all seriousness. But he is quite generous at the press where he squeezes the juice of the grapes we have just harvested. The pleasure of drinking chilled, straight-from-the-farm grape juice is indescribable. Not heeding warnings about runny stomachs, I ask for several refills. 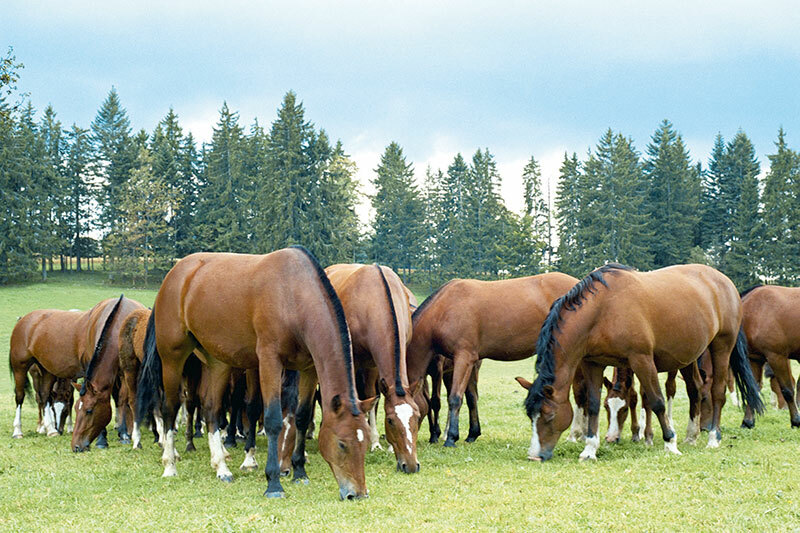 Eddie takes the farmhands and me home for a sumptuous lunch cooked by his mother, Marianne, and wife, Sandra – wafer-thin ringlets of sun-dried beef, potatoes in their jackets, a wooden platter of all possible varieties of cheese, an enormous bowl of greens and delicious fruit tarts. The latter is a speciality made from apples, grapes and pears and cooked with sugar for several hours to a custard-like consistency and saved up for the winter months when there is a scarcity of fruit. How do I eat so much and all the time? Perhaps it’s the bracing cool weather or the warmth of Swiss hospitality. The harvest has been good unlike the previous two years when hailstorms and humidity wreaked havoc. So villagers look forward to the end-of-harvest festival which has an additional cause for celebration. We media folks celebrate the UNESCO event the evening before on the pier of Cully. As night sets in to the music of alpenhorns, we move into a large tent for the grand finale. 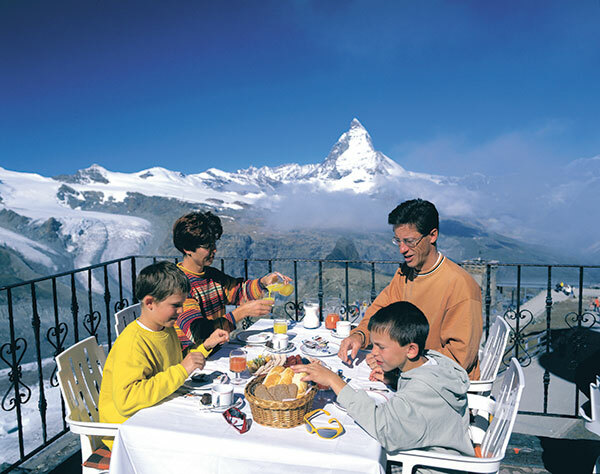 It is said that the chefs in the French-speaking part of Switzerland treat their craft as an art form, creating dishes, not merely cooking them. So we are served dish after dish of artistically arranged food…Marbre of Lake Geneva fish dressed with herbs from Cully, mountain veal in a mushroom and wine sauce, assorted Swiss cheese, crisp buns of bread charmingly served from wicker baskets by pretty waitresses. The mood is celebratory but the UNESCO representative sounds a note of caution. 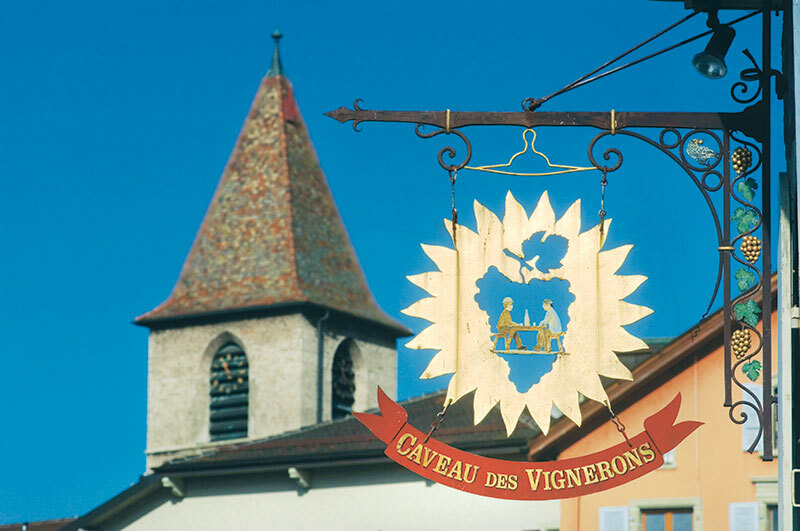 It’s important, he warns, for the authorities and tour operators to be collectively responsible for the conservation of Lavaux. A skit spoofing their chefs, more music…and, suddenly, it’s all over. Bidd-ing goodbye to all the lovely friends we have made from Russia, Italy, Finland, UK, USA, Brazil, Switzerland and many more countries, we return to our respective hotels to pack our bags for Zurich. At noon I set off by tram to explore the upmarket area of Bahnhofstrasse which boasts every possible brand – Diesel, Mango, Rolex, Omega. I walk down the entire length, starting from the main station (bahnhof) end, popping in at churches and H&M stores on the way, till I reach the picturesque lakefront, where sailboats bob up and down on the emerald waters against snowcapped mountains. What an amazing combination of natural beauty, traditional architecture and contemporary life Zurich is. Stopping at Zeughauskeller for the last Swiss dinner on this trip, realisation dawns that I’m in the German part of Switzerland. On the footpath outside the restaurant where I tuck into veal in mushroom sauce, everybody around me is guzzling beer and talking in German. The gentleman at my table is scheduled to sing a Bach composition in the famous Fraumunster Church behind us. A newspaper editor, he has come down from Winterthur, 20 minutes away from Zurich by train. At the neighbouring table, a group of ladies from the Frankfurt region of Germany are here for the weekend. Such are the travel and hotel facilities of this metropolis that tourists of all hues feel at home here. Though the city has been certified – six times in a row – as having the highest quality of living in the world, it doesn’t intimidate. My walk back down the now neon-lit road, past high-fashion shops that have closed for the day, with the church bells ringing loud and clear every quarter hour, is tinged with a sense of surrealism. What a week! From the lakeside of Neuchatel to the vineyards of Lavaux to the stylish and commercial capital of Switzerland; was it all real? An early breakfast, a final ride in a Swiss train and I am at Zurich international airport — vast, très modern and very artistic. Nine hours later, as I wait for my baggage at Mumbai airport, my cynicism resurfaces. Did the man at Lausanne railway station load my bags on the right train? But when I see the familiar pieces appear on the conveyer belt I need no further proof of Swiss efficiency. Contrary to what Bryson feels, I don’t think they are any the duller for it!